This month we have the exciting and much-awaited memoir by New York’s iconic Bill Cunningham, and it’s such a great read! Other new items include an illustrated style guide and a recipe book for beauty and hair products made from natural ingredients you already have at home. 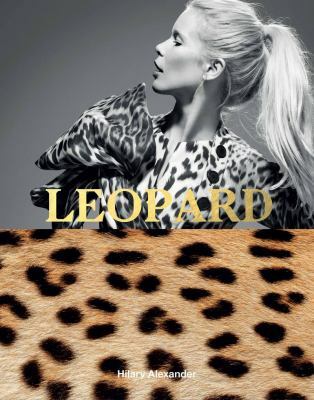 There’s also an up-close look at timeless leopard print – roar! Betak : fashion show revolution. This month we have a bumper crop of beauty books, just in time for the new season! Learn how to make your own products at home and get tips on how to achieve timeless elegance and beauty the French way. Our latest fashion selections include some sensational prints from Orla Kiely and a look at the effect of fashion on nature. All on the New Books shelves now! 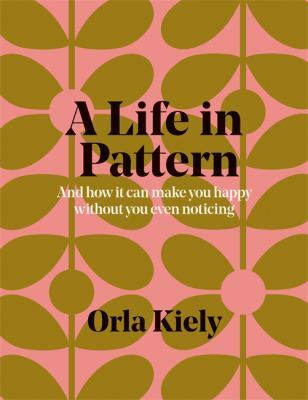 A life in pattern / Orla Kiely. Fresh & pure : organically crafted beauty balms & cleansers / Jules Aron. Fashioned from nature / edited by Edwina Ehrman. Whole beauty : daily rituals and natural recipes for lifelong beauty and wellness / Shiva Rose ; photographs by Ngoc Minh Ngo. Ageless beauty : the secrets to French elegance / Clémence von Mueffling with Karen Moline. Ageless beauty the French way : secrets from three generations of French beauty editors / Clémence von Mueffling with Karen Moline. Travel the world with June’s new streetwear and style guides, focusing on Japan, France, Australia and beyond! And treat your skin with June’s new beauty books, which include recipes for homemade skincare and a skincare guide by Dr Anjali Mahto. 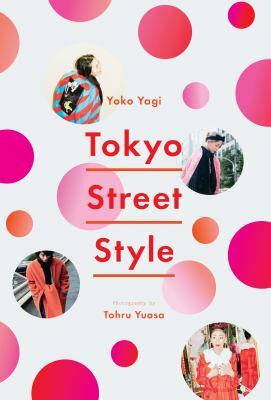 Tokyo street style / by Yoko Yagi ; photography by Tohru Yuasa. Dress like a Parisian / Aloïs Guinut ; illustrator, Judith van den Hoek. Fashion : the essential visual guide to the world of style / Karen Homer. Romance Was Born / Anna Plunkett & Luke Sales ; with Georgina Safe. Butterfly on a pin : a memoir of love, loss and reinvention / Alannah Hill. This is not fashion : streetwear past, present and future / King Adz, Wilma Stone. The skincare bible : your no-nonsense guide to great skin / Dr Anjali Mahto. Our favourites this month include beauty vlogger Tricia Cusden’s beauty and lifestyle guide for older women, a new book on fashion embroidery and a close-up look at the designs of Charles James. 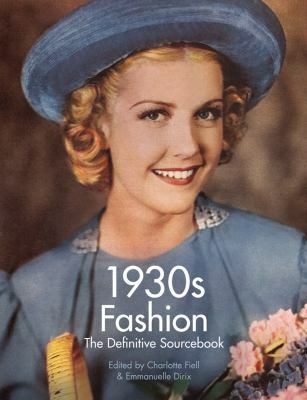 For vintage fashion fans we have shiny new volumes on 1920s and 1930s fashion, as well as a glamorous new edition on the American fashion runway. This selection of new fashion and beauty will definitely have you living the life more fabulous! Living the life more fabulous : beauty, style & empowerment for older women : a handbook / Tricia Cusden. American runway : 75 years of fashion and the front row / Booth Moore and the Council of Fashion Designers of America ; foreword by Diane von Furstenberg. Fashion embroidery : embroidery techniques and inspiration for haute-couture clothing / Jessica Jane Pile. Charles James, portrait of an unreasonable man : fame, fashion, art / Michèle Gerber Klein. The beauty of dirty skin : the surprising science of looking and feeling radiant from the inside out / Whitney Bowe, MD. Our fashion favourites this month include a close look at Yves Saint Laurent’s famous accessories and a very glamorous edition chronicling the drag queens and kings of New York. Our Vogue On: collection continues to grow with the addition of Calvin Klein and Jean Paul Gaultier, and we have a new book of clean beauty recipes; perfect for hitting those eco-friendly new year’s resolutions! Clean beauty : recipes to manage your beauty routine, naturally / by Elsie Rutterford and Dominika Minarovic, Clean Beauty Co.
Yves Saint Laurent accessories / Patrick Mauriès. 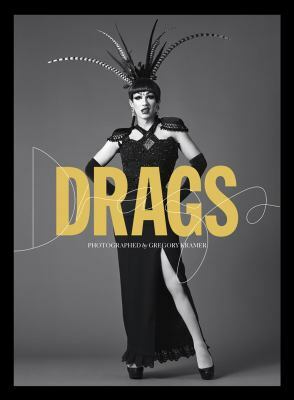 Drags / photographed by Gregory Kramer ; designed by Rachel Bernstein. Fashion together : fashion’s most extraordinary duos on the art of collaboration / edited by Lou Stoppard ; foreword by Andrew Bolton. Androgyne : fashion + gender / Patrick Mauriès ; text translated from the French by Barbara Mellor. Mod New York : fashion takes a trip / edited by Phyllis Magidson and Donald Albrecht ; foreword by Whitney W. Donhauser ; with essays by Kwame S. Brathwaite [and 4 others]. Vogue on Calvin Klein / Natasha Fraser-Cavassoni. Vogue on Jean Paul Gaultier / Carolyn Asome. Paris and Scandinavia are on the fashion itinerary this week, as well as a world atlas of street style! We have a nifty new guide to thrift shopping, a browse through some questionable fashion choices and a look at the all important Ladies’ Haircult. Paris : through a fashion eye / Megan Hess. Items : Is Fashion Modern? Thriftstyle : the ultimate bargain shopper’s guide to smart fashion / Allison Engel, Reise Moore and Margaret Engel ; photographs by Roger Snider. I actually wore this : clothes we can’t believe we bought / written by Tom Coleman ; photography by Jerome Jakubiec. Dress Scandinavian / Pernille Teisbæk. Ladies’ haircult : women’s hairstyles and culture from 1920 to 1980 for all-time pin-ups, bohemians, princesses and bad girls / Giulia Pivetta ; illustrated by Matteo Guarnaccia. There are so many great new fashion books this month! A few of our faves are listed here; we particularly love Dress [with] Sense as a guide to a more sustainable wardrobe, containing the best eco-friendly labels and fabrics. The Art of the White Shirt is another favourite as well as Know Your Style – these covers are so beautiful. We also have a very-sought after new beauty guide from Bobbi Brown. Dress [with] sense / Christina Dean, Hannah Lane, Sofia Tarneberg (Redress) ; illustrated by Charlotte Trounce. Know your style : mix it, match it, love it / Alyson Walsh ; artwork by Ayumi Takahashi. The art of the white shirt : over 30 ways to wear a white t-shirt, blouse or shirt / illustrated by Libby VanderPloeg. Beauty from the inside out : makeup, wellness, confidence / Bobbi Brown with Sara Bliss. Rei Kawakubo : Comme des Garçons : art of the in-between / Andrew Bolton. The handbook of fashion studies / edited by Sandy Black, Amy de la Haye, Joanne Entwistle, Agnès Rocamora, Regina A. Root, and Helen Thomas. Cool : style, sound, and subversion / Greg Foley, Andrew Luecke. Homemade makes a comeback this month with Folk Fashion celebrating the charms of the humble homemade garment, plus a new guide to making your own mineral makeup at home. We have new volumes on fashion heavyweights Balenciaga and Missoni, and a detailed look at the history of fashion illustration. There are also new style guides that will get your Parisian chic vibes and makeup on point for the new season. Folk fashion : understanding homemade clothes / Amy Twigger Holroyd. Make your own pure mineral makeup : 79 easy hypoallergenic recipes for radiant beauty / Heather Anderson. 100 years of fashion illustration / Cally Blackman. Parisian chic look book : what should I wear today? / Ines de la Fressange, Sophie Gachet ; photographs, Benoît Peverelli ; direction, Jeanne Le Bault ; Jeanne B. Cheynel, translator. Wear and tear : the threads of my life / Tracy Tynan. Balenciaga : shaping fashion / Lesley Ellis Miller. Missoni : art colour / testi Luciano Caramel, Luca Missoni, Emma Zanella. The make-up manual : your beauty guide for brows, eyes, skin, lips and more / Lisa Potter-Dixon. July’s fashion and beauty edit is all about keeping things classic – we have shiny new volumes on legendary starlet Brigitte Bardot, the history of tweed and how to nail the perfect red lipstick. This month we’re also featuring hot menswear and London style. Celebrate the classics with July’s new books. Classic style : hand it down, dress it up, wear it out / [interviews and text by] Kate Schelter ; foreword by Andy Spade. London sartorial : men’s style from street to bespoke / Dylan Jones. Lips : how to wear lipstick, lip gloss and lift your lip game / by Natasha Devedlaka-Price ; photography by Mick Ackland and Casey Moore. London uprising : fifty fashion Designers, one city / edited by Tania Fares and Sarah Mower. Brigitte Bardot : my life in fashion / Henry-Jean Servat ; translation, Mot.tif. Alone in a crowd : men in this town / Giuseppe Santamaria. June’s fashion and beauty update has plenty to get you #inspired – we have new style guides and makeup guides, as well as a peek at men’s street style across four continents. We have a book which promises the best skin of your life and a new volume all about fashion’s social media stars. We also get a close-up look at some of history’s most famous fashion moments, all gorgeously portrayed in bright and whimsical illustrations. Let us inspire you this winter! Digit@l girls : fashion’s new tribe : risk takers, rule breakers, and disrupters / Marko MacPherson ; design by Shawn Dahl ; edited by Nicole Phelps ; text by Steff Yotka and Emily Siegel. The makeup of a confident woman : the science of beauty, the gift of time, and the power of putting your best face forward / by Trish McEvoy with Kristin Loberg. The way she wears it : the ultimate insider’s guide to revealing your personal style / Dallas Shaw. True style is what’s underneath : the self-acceptance revolution / a style like u manifesto by Elisa Goodkind and Lily Mandelbaum. Groundbreaking fashion / Jane Rocca ; illustrations by Juliet Sulejmani. The young skin diet : science-based recipes & treatments to reveal your best skin ever / Michelle Lee.